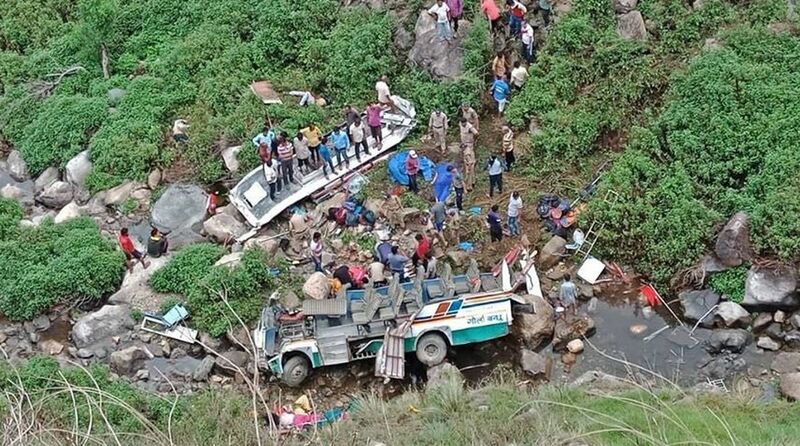 As many as 13 people lost their lives and 16 others were injured after the Uttarakhand Transport Corporation bus they were travelling in skidded off the Rishikesh Gangotri highway and rolled down a 250-metre deep gorge near Suliyadhar in Tehri district. According to reports, more than 25 people were travelling in the bus heading to Haridwar from Barkot. Police teams, personnel from the fire department in Tehri and the National Disaster Response Team from Chamba have reached the spot and are analysing the situation. The district magistrate and the sub-divisional magistrate are present too. The state government is learnt to have directed helicopters to be made available to bring the injured to AIIMS in New Delhi. It has also announced an ex gratia of Rs 2 lakh each to the next of kin of the deceased. Rs 50,000 each will be provided to the injured. A magisterial inquiry has been ordered into the matter.